Can solar generate power at night? | West Coast Solar, Inc.
Can solar generate power at night? One of the issues that limits the growth of Bay Area solar at a utility scale, particularly for photovoltaics (PV), is the fact that current energy storage solutions are not capable of handling the massive amounts of power that would be needed during hours when the sun isn’t shining and the panels aren’t producing electricity. This is why the state is now investing hundreds of millions of dollars into developing a storage technology that can be commercialized and scaled up to handle the demands of the grid. Giant, parabolic troughs collect sunlight and concentrate it onto a pipe filled with a fast-moving synthetic oil. The oil is heated up, and the heat is used to boil water, which spins a turbine that produces electricity. 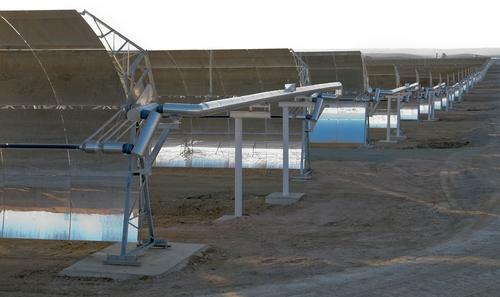 During the day, some of the heat that is generated from the solar troughs is transferred to tanks of molten salt. At night, the oil is pumped in the other direction, removing the heat from the salt and sending it to the turbine where it produces power to meet nighttime demand. If this technology can be adopted on a wider scale, it could solve the problem of how to provide residents with solar power at night after the sun sets. Industry observers are watching closely to see if Solana delivers on its potential. Keep in mind that solar PV isn’t an experimental technology that only a few homeowners can access. In fact, by going solar today, your family can save thousands of dollars on your energy bills. Contact West Coast Solar for more information on how you can benefit.